I’ve been involved with flower bulbs for much of my life and in all that time I’ve never understood why everyone doesn’t grow Colchicum (a.k.a. autumn crocus, naked ladies or meadow saffron). 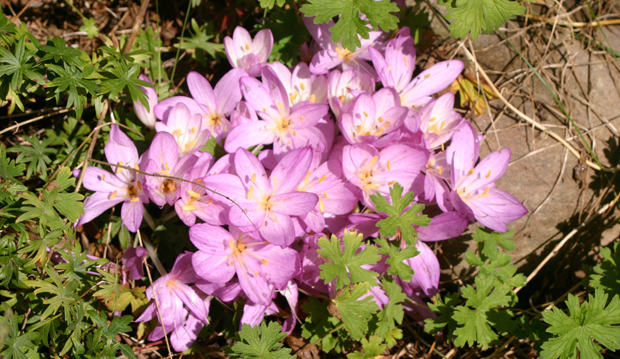 Colchicum are native to the mountains along the northeastern side of the Mediterranean. 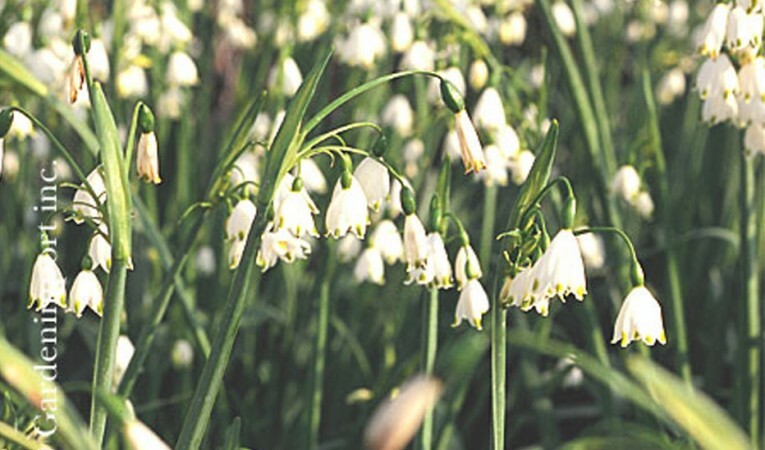 They produce clusters of pink or mauve flowers without leaves in September from large bulbs that NOTHING will eat (due to a fascinating and important toxic component). They will even flower if unplanted. In fact, at Gardenimport, we have to keep them warm prior to shipping to prevent their flowering because it’s the cooler fall temperatures that trigger their bloom. 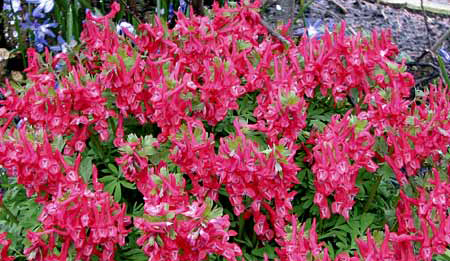 They’re perfect for growing through groundcovers, drawing admiring comments like “I didn’t know these plants bloom in the fall” from passersby to my front yard, where I have several planted in among the perennial geraniums. Colchicum require no water in the summer but do need moisture and sun in the spring, when they produce large leaves akin to a tall cabbage. These die away quickly in early summer. 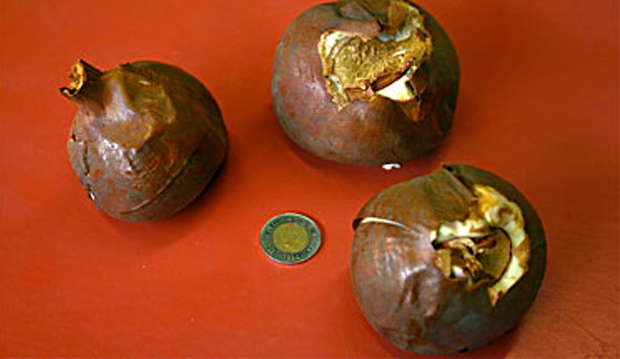 The fascinating and toxic component I referred to is Colchicine, an extract, which in the early days of plant genetics, was used to produce the first tetraploid plants. Colchicine interrupts the division of chromosomes when cells multiply, allowing geneticists (and plant hybridizers) to convert a diploid cell (two sets of chromosomes) to a tetraploid (four sets of chromosomes). This may sound like a lot of mumbo jumbo, but without this bulb there would be no tetraploid plants, which include several important food crops and many of the plants we enjoy in our gardens today. Evidently the extract was also used as an early treatment for gout. So for heaven’s sake give these plants a try. Just don’t eat the bulbs. Hysteranthous: Of plants: Having the flowers appearing before the leaves. 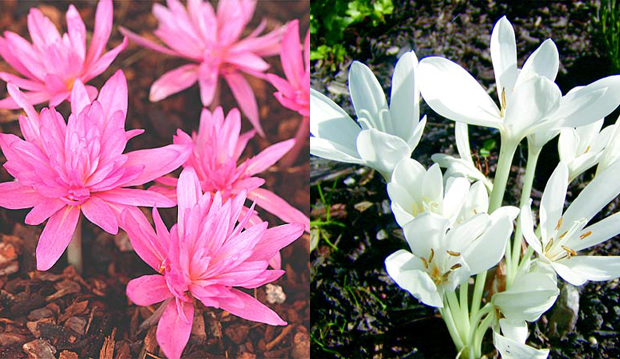 * This Colchicum produces flowers in the fall but its leaves won’t appear until next spring. *OED Online….